My massive trilogy, Tyrants of the Dead, is now available as a three-book Kindle set. 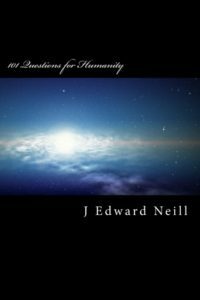 The Tyrants series contains three epic stories. 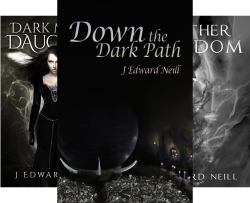 Each can be read on its own or as part of a larger, darker adventure. 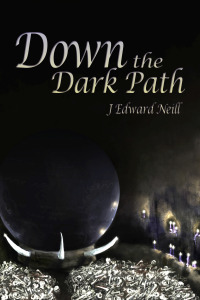 Down the Dark Path is book I in J Edward Neill’s Tyrants of the Dead trilogy. When a young woman leaves home in search of a better life, she plunges into a world-ending war. 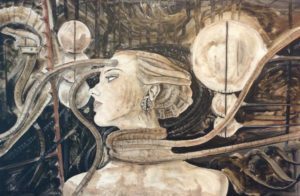 The deeper she falls, the more she senses dark powers rising within her, and the more she realizes she is not so different than the enemy. 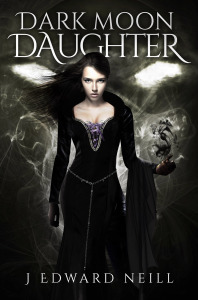 Dark Moon Daughter – Book II in the series. Three years have passed since the Furyon war, but the memories of her time in Malog haunt Andelusia every night. 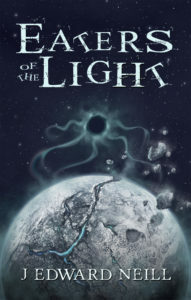 When an emissary from a distant land arrives in Graehelm to beg her aid, she sees a chance to uncover the meaning of her inner darkness…and learn the source of her unnatural powers. 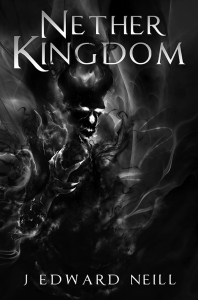 Nether Kingdom – Book III. At the world’s edge, Andelusia awakens to the terrible realization that all her dreams have come to nothing. When the shadows in her heart cause the seasons to change and deadly storms to sweep across Thillria, she knows what will come. The Black Moon will descend. Grimwain will return. The Ur will rebuild their haunted civilization atop humanity’s graveyard. Unless she alone wages war against the nether kingdom, the world will burn. Darkest of ALL dark fantasy trilogies.